A variety of activities and attractions will keep visitors of all ages happy. Enjoy Okawville's gift and specialty shops or spend the day on the green at Roland Barkau Memorial Golf Course. In the middle or at the end of a busy day visitors can choose from any number of restaurants to relax and refuel. Take a look at some of the activities and attractions listed below and see what you are missing. Okawville is located 41 miles east of St. Louis on I-64 at Exit 41. At the interchange turn right on State Route 177 and follow 177 west and south in Okawville to Walnut Street. To go to the Schlosser homes, turn right on Walnut and go one block. To proceed to the Poos Home, continue south on 177 (Front Street) four more blocks. See Map Below. Click on one of the links below to visit website. Located 2 miles south of Okawville. In season vegetables & fruits. School groups are invited to do apple picking in the fall. Return To The Past At Heritage House Museum Of Okawville With Three Unique Museums. Group Tours are encouraged; please make an appointment for groups. 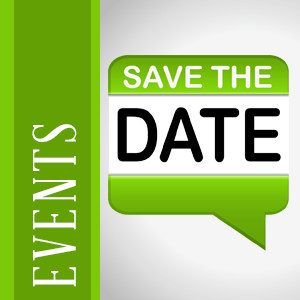 Call the Okawville Chamber Of Commerce at (618) 243-5694 or write the Chamber at P.O. Box 345, Okawville, IL 62271 for appointments or additional information. 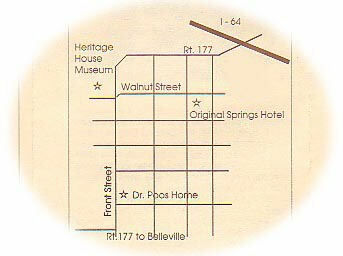 The Dr. Robert C. Poos home is a museum that has been owned by Heritage House since 1991. Built in 1888, this Second Empire (mansard roofed) style home was occupied by members of the Poos family continuously from 1890 until the mid-1980's. It has been largely restored and furnished with loaned and donated items that reflect its Victorian heritage. An unusual outbuilding, which was intended to be a bathhouse that never opened, contains displays of medical paraphernalia used by Dr. Poos and others and also contains displays of other local historical artifacts. The home also features a working windmill that replaces one that stood over the backyard well until after the doctor's death. There are also several Poos family heirlooms on display, such as the 1893 Chicago World's Fair piano in the Victorian parlor. 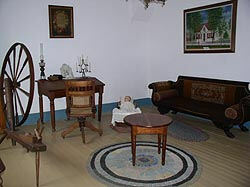 The Poos Home is open by appointment and is also shown by guides on duty at the Schlosser Home on days that the museum is open. Stop there first. A donation of the visitor's choice is appreciated. An un-restored turn-of-the-century harness shop, commercial laundry, home, and more offer a glimpse of the daily life of middle class America in the early days of this century. Not a mansion, nor the home of a great historical figure, and not a collection of artifacts brought together from many sources. This home and small business complex offer a picture of the way our parents and grandparents lived and worked and of the tools and treasures of that great segment of our population, the common man. The museum organization has chosen, mainly at the request of visitors over the years, not to restore, but only to preserve the buildings and contents as they were when the Schlosser family lived here. The Schlosser Home is open from 1:00pm to 3:00 pm every Saturday and Sunday. It is also open most Monday, Wednesday, and Friday afternoons and also by appointment. Call to make appointments on weekends – 618-243-5694. A suggested donation of $5.00 per adult is appreciated. A third property owned by Heritage House is the old Joseph Schlosser home across Walnut Street from the Frank Schlosser complex. Built of locally-made brick circa 1869, it is the last surviving Old World style street house in Okawville and was the humble home of Joseph Schlosser, his wife Louise, and sons Henry and Frank. 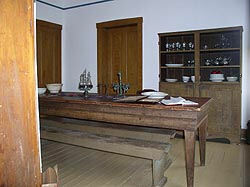 Joseph operated a cobbler's shop in one room of the home. Furnished with primitives and antiques largely from the post Civil War era, the house captures the aura of its time. The offices for the Okawville Chamber of Commerce and the Heritage House Museum are also housed in the home.